We need more Small Businesses NOW! Small businesses are the life blood of our economy. Firms with less than 500 employees must grow in order to move us into a recovery. However, the facts are not supporting that this is happening. Based on this article, "Small Business Share of Economy, Job Growth Stinks", there is a graphical display of how jobs and small business is not improving in this economy. The small business' output of the GDP has dropped precipitously since 2009. This trend must reverse course to help the United States back to recovery. Professor Don Boudreaux reveals the truth about the stagnation of wages in the United States economy. Excellent video! It is a must see!! This quote is presented by the legendary educator Mr. Booker T. Washington. His life story is an example of accomplishments and supports this quote. Check out the book, "Up From Slavery". Here is an excellent write up on the issues facing Japan. The article is from Bloomberg titled, "Japan May Miss Debt Goal Despite Tax Hikes" Question: If raising taxes is the solution, then why would the Japanese miss their objectives? Question 2: If raising taxes was the solution to the debt and/or deficit problem, why not simply raise taxes each time there is a spending issue by the Government? The Japanese are in a precarious position. For starters they have a relationship with China. According to this article, "Japan looking to buy Chinese Government Bonds", China is experiencing a slow down in there economy, and Japan is attempting to purchase some of the Chinese Government's debt. Important Note: Japan has been China's biggest trading partner since 2009. The Japanese also have much of the United States Government's debt also. As the US is experiencing a financial correction, the Japanese are feeling the pinch. The main reason why your money must be in a constant state of motion: the current employment of the monetary and fiscal policies of the Federal Government. The Government manipulates the "value" via these types of policies, the net effect of these moves is the depreciation of the currency. The constant movement of your money therefore is paramount. "The increase of paper money, it has been said, by augmenting the quantity, and consequently diminishing the value of the whole currency, necessarily augments the money price of commodities. "~Adam Smith "Wealth of Nations"
Recommended reading by Patrick Kelly, "Tax Free Retirement". This book is a must read if one is seeking an efficient, effective, and dynamic vehicle on accumulating cash for retirement and many other things. This video explores the 3 traps of retirement planning that many clients should be aware of when planing for those golden years..
1. File electronically or mail your return using registered mail or Federal Express (Fedex): If the regional service center fails to receive your return, your chances of being audited go up automatically. To make sure that this doesn’t happen, file electronically. This also will automatically ensure that you have the correct social security number and didn’t transcribe digits. The next best option is to use some form of shipping tracking such as Federal Express. 2. If you move, send a change of address to the IRS using Form 8822. As reported by USA Today, IRS wants to give over $78 million in refunds, but they can’t find the people! Maybe I’m crazy, but if the situation was reversed and IRS wanted money from you, don’t you think they would find you? Moreover, if IRS sends you notices, they only need to send it to the last known address. 4. File all elections that you’re entitled to. For example, if you file your return late, use an extension. Moreover, there are certain tax break options that require the filing of an election such as electing to expense equipment instead of depreciating equipment. 5. Report all of your income! This is a biggie! IRS has implemented procedures to track all of the information forms ( FORM 1099s and W-2s) to your tax return. Your tax return should at least match all of these figures. 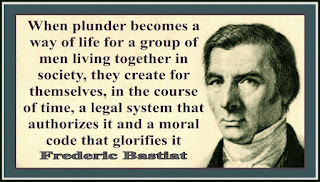 This is particularly true if you are incorporated. Make sure that the income reported by you and by your corporation match what has been reported. Many people report the income on the wrong entity. If there is an error on the 1099 that was reported incorrectly, notify the sender to get a corrected 1099. If one wasn’t received, attach a statement to both your corporate return and individual return about this error showing reconciliation. 6. Break large expenses into small segments with an attached statement. If you have any large ticket items, attach a statement explaining the item and breaking it down. For example, I know someone who had $25,000 in dental expenses and got audited as a result. If he attached a statement that this involved orthodontia for his three kids and perio surgery for he and his wife, it would have seemed more reasonable. He might have avoided the audit altogether! 7. Keep records of expert advice: If you relied on the advice of an accountant or lawyer, keep records as to the nature and date of the advice. There are cases in which penalties have been waived for a good faith reliance on in independent expert." For more information on Genesis Tax Services, check out them out on Facebook by clicking here. "If you are in business and have a profit, that is great. However, if you have losses, normally the losses can be used against any form of income such as dividends, other income from jobs, rents, pensions etc. If the losses from a business exceed your total income for the year, you can carry back all business losses two years ( in Canada it is three years) or carry forward all business losses up to 20 years. However, if your endeavor is classified as a hobby, you don’t get to use any hobby losses. THEY ARE LOST. Even worse, hobby deductions are itemized deductions must exceed a threshold to be deductible at all. YUCH. Obviously, this is a big weapon for the IRS. Fortunately, I have done a lot of research as to what you need to do. If you follow my advice, you will be a much better shape to contest any IRS or Canada Revenue Agency determination of hobby status. First, if you have a profit for three out of 5 years, you are automatically presumed to be a business. However, if you can’t meet this test, don’t be forlorn. As long as the majority of the factors presented below are met, you can still be classified as a business. * Finally, network marketing due the social nature of network marketing. Stay tuned for the tests that you need to meet,which will be published tomorrow." Greece and Wealth Accumulation:Yes! There is a connection! 1. 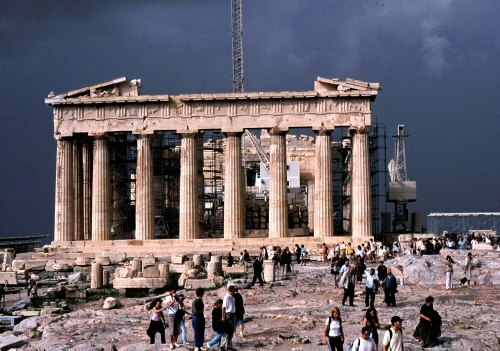 What is the real cause of the Greek crisis? 2. The U.S and its large debt and deficit balances, is it following right behind the Greeks and their European counterparts? What is the real cause of the Greek crisis? The answer to question one is multi- faceted, and there is not one simple answer, but ultimately here is a principle to consider: Wealth is not created through printing money, debt notes, or expansion of the Central Government via Welfare programs, Bailouts, special favors or the like. Wealth is created from productivity. Greece has expanded the welfare state to the point of no return. For example, the Government employs many Greek people. This creates an unbalanced division of labor. The Government must have a source to fuel its operations, and it comes from the production of the private sector. With more people working for the Government and the combination of a Welfare state, it leads to the bankruptcy of a nation. Currently, Greece is seeking the help of individuals to purchase their Government secured debt. These productive individuals who have accumulated capital are bailing out Greece, proving the aforementioned point. In this article titled, " Greek Debt-Swap talks set for a Second day", the article shows the current process as the Greeks are seeking a bailout due to the total mismanagement and failure of its Government/Welfare State. "The policies advocated by the welfare school remove the incentive to saving on the part of private citizens"~Ludwig von Mises. The U.S and its large debt and deficit balances, is it following right behind the Greeks and their European counterparts? The answer to question two is yes. This can be prevented, if the people decide to reject the causes that created the Greek crisis. This rejection will enable the United States to reverse the course. In 2006, the US had one of the lowest savings rates in comparison to most other industrialized Nations. That rate was at approximately -4%. That may have changed slightly since then, but the principle still holds true. Deferring your capital to the Government is not an efficient means to grow an economy or your growing your personal economy. There are costs to run the Central Government, typically all underwritten by the citizens who are participants and recipients in the Welfare State. The revenues are generated via taxation, all going to subsidize the Leviathan called the United States Government. If there are any doubts about how inefficient the US Government is in its operation, please review the situations with the following programs: Medicare, Social Security, Medicaid, Amtrak, The Postal Service, etc. Every one of these programs are running large deficits. Moving forward, individuals must regain control of their capital and investments. The citizens must push to control and have access to the factors of production. This will enable the citizens to have the ability to increase their savings and investments. The next question is the following: Where should one invest? There are a plethora of financial tools where one can make money work efficiently and turn a "profit". But, one must understand and become educated with the world of investing. I recommend that one should only expose money to "riskier" financial deals or investments with money they can afford to lose. In video at the end of this entry, it explains how the investing pyramid should be structured for optimal growth while maintaining and preserving accumulated capital. In closing, the individual productivity will allow many citizens to gain more capital and have the ability to save and invest money. The expansion of the Government and or the Welfare state reduces this activity, making individuals dependent on the political class and bureaucrats, and concomitantly this dependency reduces the incentive to save and accumulate wealth on an individual basis. Structuring the investment pyramid is smart, simply because it builds an financial ark when the flood waters of financial vicissitudes rise. Here are the current Bad Economic Polices: Trillion Dollar stimuli, Bank Bailouts, Big Government Spending, then concomitantly Gold Prices are increasing. Why are people unable to connect the dots? Why are we allowing our politicians to vote for bad economic policies that are placing us deeper in debt? Mr. Yaron Brooke, the Executive Director of the Ayn Rand Institute, explains why we are losing this very important intellectual battle. It is a battle that must be won. The precipitous decline of the Euro has a concomitant effect on the credit rating of various Euro members. Standard and Poors has performed its analysis as shared in the NY times article, "Downgrade of Debt Ratings Underscores Europe's Woes". These findings by Standard and Poors does not improve the outlook for the Euro and some of its members. Questions: How will the Euro members address Greece's issues? Which country is next to slide onto the road to financial perdition? Is it Italy? Speaking of Italy, it was downgraded to a "BBB+" rating by Standard and Poors. Italy and Spain are both heavily exposed to the debt crisis related to the Euro. If there are credit derivative swaps connected to these countries' credit ratings, can the people underwriting the CDS pay the claims on these contracts if many of these nations continue their downward trend for their credit ratings? If not, will there be a repeat of the debacle that took place in 2008 with AIG et al? Good news: Finland, The Netherlands, Germany, and Luxembourg all maintained their AAA rankings. Also, investors seeking a safe haven, turned to US treasuries. In this article, it shows how the US Treasuries were pushed to the lowest yields this year. This still proves that even with a declining US economy, we are still a safer bet relative to other international markets. This exercise in economic futility by the Europeans proves once again that wealth is only accumulated through production. "Profits are the driving force of the market economy. The greater the profits, the better the needs of the consumers are supplied. For profits can only be reaped by removing discrepancies between the demands of the consumers and the previous state of production activities. He who serves the public best, makes the highest profits. In fighting profits governments deliberately sabotage the operation of the market economy." The correlation between a declining currency and increase demand of commodities is true. While Central Banks and their Governmental employers seek to expand their respective economies with expansionist monetary and fiscal policies, the economic trade off is that these policies depreciates the currency. When this happens, Commodity prices will sky rocket. If one throws in for good measure the decline of the Euro and the Chinese economy slowing and contracting down, it adds more complexity to the issue. In the meantime, the Chinese Government thinks Gold is a safe bet also! According to the Bloomberg Business week article "China's Gold Imports from Hong Kong Reach Record on Demand". Looking at the home front, The US dollar is in decline also. The credit for this phenomenon must be given to our intrepid, doughty and myopic political leaders that have been employing strategies to "jump start" the economy. [remove sarcasm now] In the 2000s, the egregious practices of employing low ball interest rates, sub-prime lending was used to inflate the demand of the Real Estate market, which crashed and burned in 2008. This was followed by a series of large fiscal/monetary stimuli , bank bailouts and other expansionist means to "jump start" the economy. The economic trade off for these actions: Increased price of Gold and other commodities. Of course, Gold future traders are getting in on the act. In this article, "Gold Futures Close at Highest in Four Weeks as Dollar Weakens", it provides further proof of this connection. With all this increase in demand with Gold, will it hit a bubble? Many experts state this bubble will hit for gold, but there are other commodities that can be employed when currency is being devalued. For example, the prices of Orange Juice has soared, (see article "Orange Juice Soars highest since 2006). Is Orange Juice directly related to the depreciation of the currency? Yes, but there are other factors in play. The point of the matter is that there is a relationship between currency valuation and commodities. Ultimately, the investors who are paying attention to all these moves, and act appropriately, will make money in 2012. Rich are getting Richer, but the Poor are getting..err Richer? This video explores the concept of the following commonly used phrase, "The Rich are getting richer, and the poor are getting poorer". The question is this: Who comprises the poor? The next question is: Does the poor always stay poor, or does the poor become richer? Economics Professor Steven Horwitz explores this concept. Interesting video! The Chinese are seeing a decline in their exports. They are also seeing a gain on the Yuan against the US dollar. In this article by Bloomberg, it discusses the issues surrounding this currency gain. The Euro crisis is central to this issue as people are not able purchase Chinese goods since the Euro is in the toilet. In other words, it will take more Euros to purchase Chinese goods, so the Euro will stay at home and look for cheaper goods. Thus, the Chinese export numbers will be down. The next move will be purchase of Chinese Government debt to depreciate the currency to make trade balance out. My next guess is the Chinese central bank will need to do some sort of expansionist policy to depreciate the Yuan. Its just a guess, but it is all one big shell game. Proper Justice or a Political Shakedown? This is an interesting set of developments. According to this article, the Department of Justice is allocating a part of the Countrywide multi-million dollar settlement to these 3rd party organizations. Why are 3rd party groups benefiting from other's plights created by the evil, nefarious, and greedy bankers? [sarcasm removed] Seriously speaking, people need to understand that correlation does not equal causation. This does not mean that all parties were honest in their dealings. This can be assumed since there are no perfect humans. But, the devil is in the details. This case continues to underscore the need for financial education. People assume there is something for nothing, and there is always someone willing to continue this message and sell pie in the sky hustles. If people are provided the proper financial education, there would be a reduction in these type of law suits. However, in an environment were get rich quick schemes is the standard, more of these law suits will be a costly burden to our society. The fall of the Euro is having world wide effect. It is not just limited to Europe or the US. In this article, it shows how Asia is being impacted. This is showing how interconnected we are to all the other countries, and showing that the economy is now going global. This article also shows more indication that investors are going to go in the commodities market as the Euro continues is precipitous decline against the US Dollar. 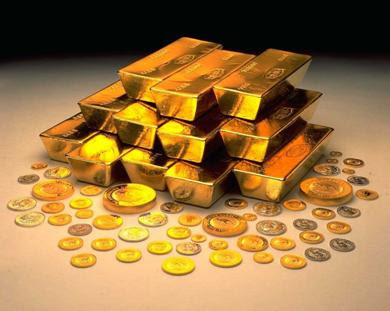 Gold price may rise due to this crisis as European investors are seeking somewhere to store the wealth. The Three Legged Retirement Stool: Pension plans, Qualified Plans, and Social Security. Currently, Pension plans are in dire straights and they are on the operating table seeking amputation. Pension plans in many settings are unfunded with large deficits shortfalls looming. In this particular article discussing the Rhode Island pension plan problem, it analyzes the issues surrounding the deficit problem with its Pension Plan. This is not exception to the rule, as many pension plans are suffering a similar fate. There are a farrago of reasons why these plans are becoming extinct, but the main reason is because of the higher administrative cost to provide the guarantee benefit and a fixed return on principle to grow the pension balance. Pension Plans are defined benefit plans, and they are supposed to provide a guaranteed benefit at retirement for the employee. Since there is a higher cost to administer these types of plans, many companies are moving from a Defined benefit plan to a Defined Contribution Plan. A Defined Contribution Plan typically comprise the following: e.g 401k, 457,403b, etc. The administration cost is much cheaper, but the employee now assumes the risk. These Defined Contribution Plans have risk also, as detailed by my report labeled "The Truth about Retirement Plans". Simply placing money into a qualified plan and buying "cheaper" term insurance may not be enough for retirement. It is quixotic to think that simply placing money in a Qualified plan and purchasing cheap term insurance will send people into the land of milk and honey at retirement. The current investor must be fluid and flexible in his/her approach. In the past, the conventional investing wisdom was the three legged stool approach: Defined Benefit, Defined Contribution Plans, and Social Security. It is well documented the problems with Social Security, its problems are similar to Defined Benefit plans, but add in for good measure the political tomfoolery from the fine elected officials in Washington DC. For the average investor saving for retirement, it looks like the 3 legged stool maybe down to one leg. Credit Default Swaps were central to the lamentations of many investors, investment bankers, political experts, and others during the United States financial meltdown in 2008. It is now 2012, and these products rise again out of the ashes, but now they are in Europe. Europe is dealing with the crisis of the Euro currency and Greek financial debacle, but throw in for good measure the issue surrounding the Credit Default Swaps. The combination of these three issues have a potential of creating a toxic confluence for the perfect financial storm. If the European banks are attempting to "bail out" Greece what happens if there is a market crash that relates to Credit default swaps? How will this impact Italy? Side Note: Italy has a large exposure to debt securities from various Euro Governments. They are seeking to raise more capital to cover their potential losses as discussed here in this article. If these things happen, investors will seek to make claims on the CDS for institutions that are holding toxic assets. If there is a major "run" on these financial entities issuing these swaps, what methods will be used to bail them out? For the folks in the US, there should be concerns regarding the risk exposure to this potential meltdown. In this article, it discusses the details of how this along with other issues make it a challenge for Euro central planners. Concomitantly as it relates to the Euro and other monetary issues, Gold prices continue to reach for record highs.